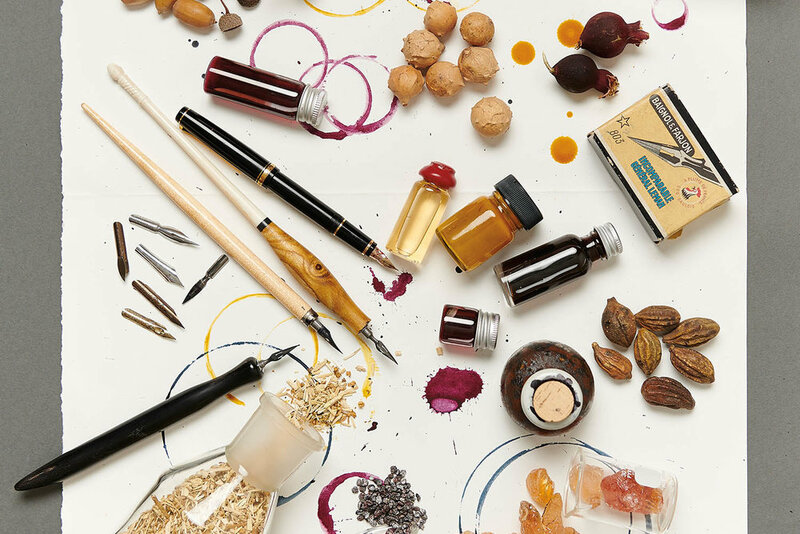 The study of natural dyes leads directly to the creation of handmade pigments and inks. Join inkmaker Tim McLaughlin as he leads the audience through this colourful new territory and sets the stage both historically and culturally for the rise of handmade ink. Tim will introduce the new calligraphers—those who have dedicated themselves to return to handwritten scripts and who are making ink central to their practice. In addition, Tim will introduce artists who are using ink in new ways, as well as those who are using the ink-making process itself as a creative act. Tim will also teach a workshop and co-present a second lecture.